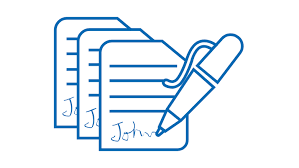 Part 2 – In my previous article on the subject (available here), I dealt with the arguments against using Advanced Electronic Signatures (Aes), and the false impression that that they are cumbersome and difficult to use. I also pointed out that used with appropriate electronic signature tools they are a business enabler and enable the execution of contracts many times faster than by our traditional use of handwritten signatures. Finally I addressed the significant cost savings element of using Aes. In this article take a cursory glance at law governing signatures and Aes and in my final article I will talk about the security advantages that are inherent in the use of Aes. An in depth review of the the law governing signatures and Aes is beyond the scope of this article and not essential to the understanding of it so I will just talk about some important clauses in the Electronic Communications and Transaction Act (ECT Act) that form the building blocks for the use of Aes. I have written this article in an interview style, based on the most frequent questions and objections to the usages of Aes I come across daily. This will enable the reader to follow the argument much more easily. It is defined in the Electronic Communications and Transactions Act of 2002 (ECT Act) as data attached to, incorporated in, or logically associated with other data and which is intended by the user to serve as a signature. This definition is very wide and can apply , as our law on written signatures does, to any mark that is intended as a signature. In terms of this definition, your name typed in at the bottom of a document, a scanned signature, and even an X typed at the bottom of a electronic record, if it is intended to be used as a signature is as an electronic signature. Section 13(2) of the ECT Act makes it clear that an Electronic Signature is not without legal force, merely on the grounds that it is in electronic form, which means that an electronically signed agreement will be legal if you follow the provisions of the ECT Act. But we always need the original of the documents we sign. No problem. The ECT Act in Section 14 makes it clear that an electronic document can be seen as an original if the integrity can be guaranteed and it can be shown that the document was unaltered in light of the purpose for which it was created, taking into account all relevant circumstances. Sure, but what if we are taken to Court, will the contract still be seen as valid? Yes, again, Section 15 of the ECT Act makes it clear that data messages (which includes and electronic contract), is allowed as evidence and must be given their due evidential weight. And remember, Section 14 already makes it clear that an electronic document can be seen as an original. If an electronic signature is legal why do we need Aes? The ECT Act expressly requires that if a signature is required by law then an Aes must be used. There are many instances in our law that a signature is mandatory. Examples are the requirement that a doctor signs a prescription or a conveyancer signs a preparation certificate before a deed may be lodged in the Deeds Office. There are many more examples where the law requires signature. An Aes is an electronic signature the suppliers of which have been accredited by the South African Accreditation Authority (SAAA), a division of the Department of Telecommunications and Postal Services. To achieve accreditation the supplier must satisfy very high standards that ensure the identity of the signatory and that the content of the electronic record that has been signed cannot be changed without this being easily detectable. To qualify as an Aes, an Electronic Signature needs to have the following characteristics. The accreditation is subject to the supplier of Aes successfully meeting the stringent criteria required of it and that are audited by independent auditors appointed by the Accreditation Authority every year. So what does this mean, what are the benefits of an Aes? I would argue that in the legal profession, these benefits would speak for themselves, but here are just some of the benefits of using Aes. It is based on internationally accepted encryption standards, which gives it a global scope and applicability.